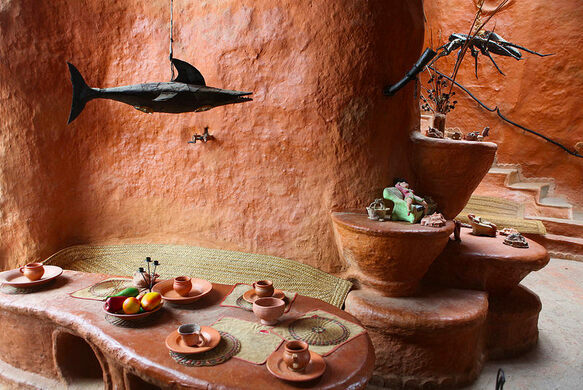 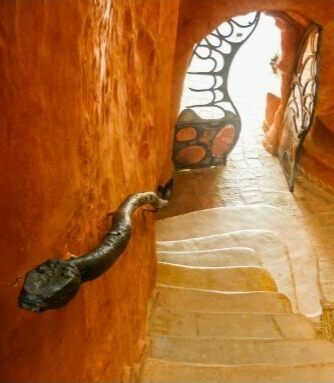 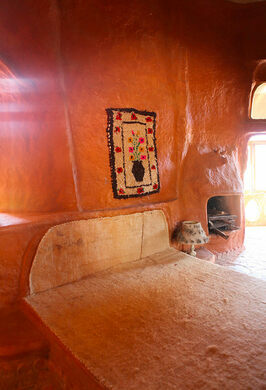 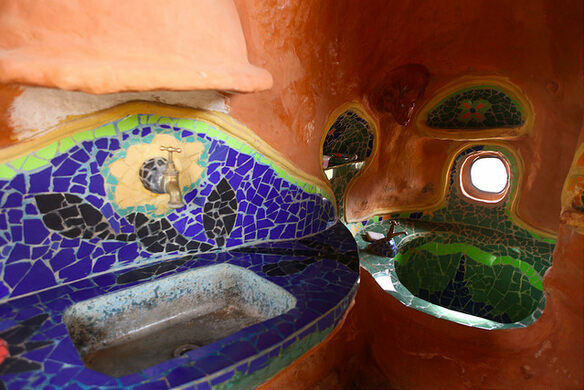 A blend of architecture and art, Casa Terracota is an unusual, fantastical-looking cottage that lets visitors imagine what it would be like to live inside a giant piece of artisanal pottery. 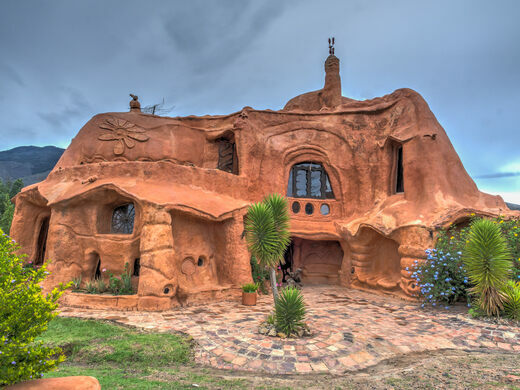 Colombian architect Octavio Mendoza sculpted the 5,400-square-foot abode entirely from clay, using no other materials to support the two-story structure. 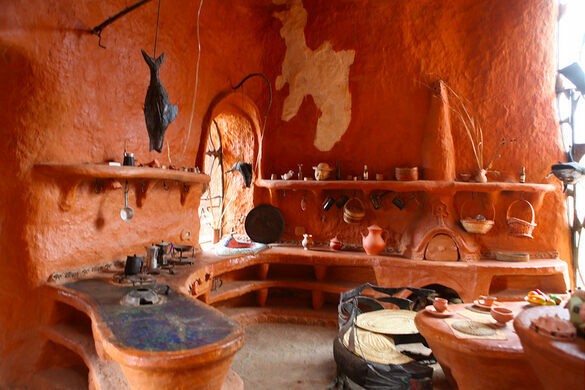 He then let it bake and harden in the sun, which transformed the pliable clay into solid, sturdy ceramic. 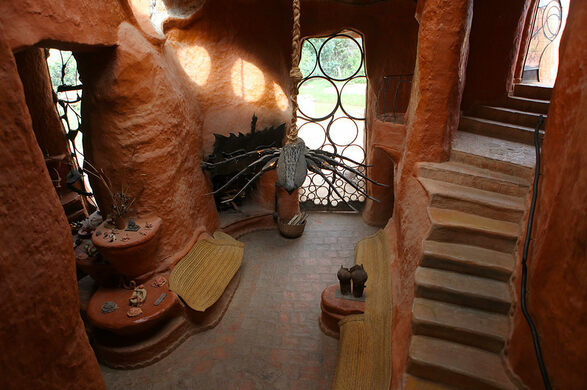 He refers to the home as the biggest piece of pottery in the world. 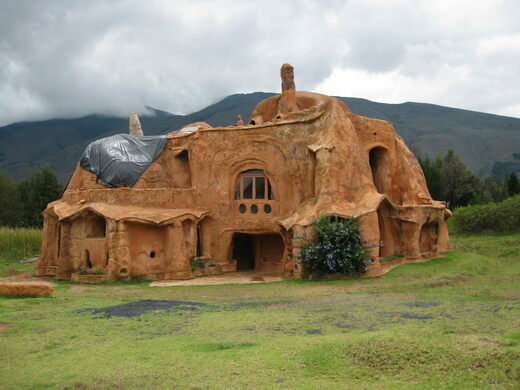 The shape of the house also reflects Mendoza’s natural approach to architecture. 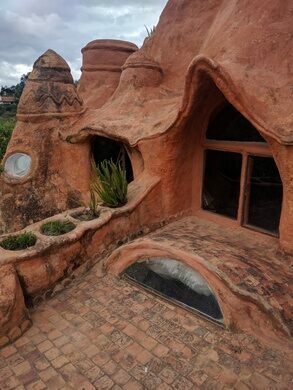 The walls slope and curve much like how the surrounding hills roll toward the horizon. 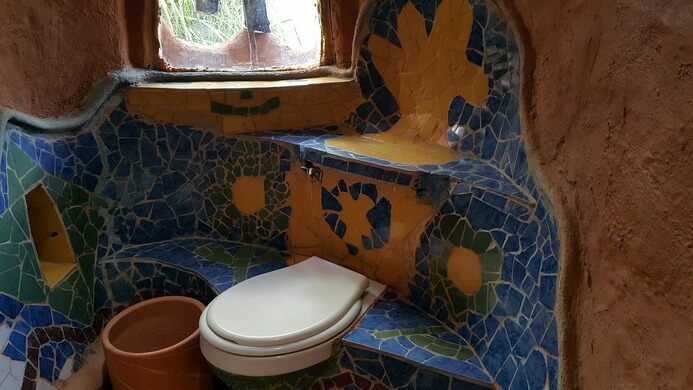 The inside is airy and welcoming, with colorful tile mosaics adding vibrant pops of color to the baked, earthy walls. 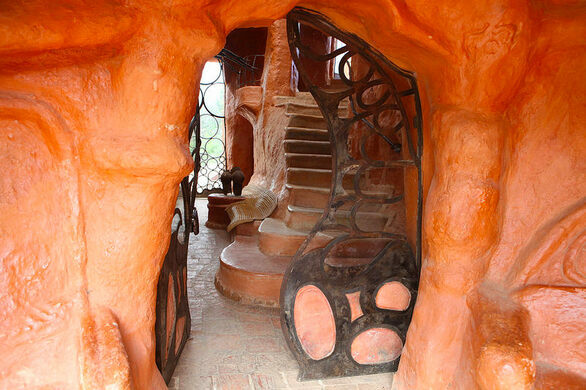 Casa Terracota can be reached in 10 minutes by car or 30 minutes on foot from the Plaza Central. 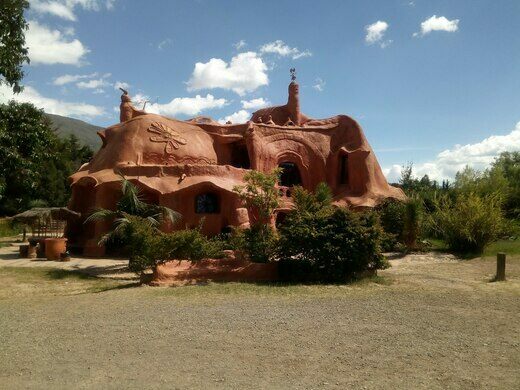 Take the road that heads to Santa Sofia, pass a soccer field, and after a small bridge, take a small unpaved road to the right. 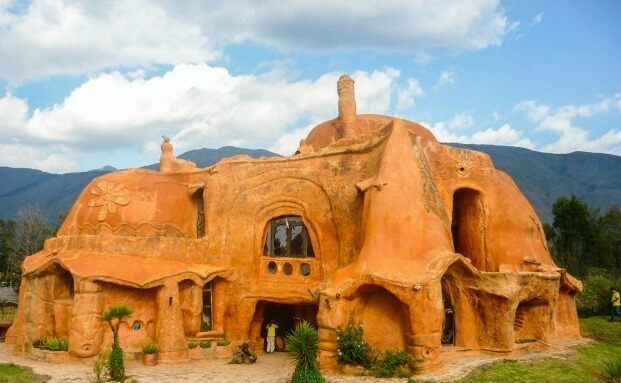 Travel roughly three minutes and you'll see Casa Terracota on the right side of the road.